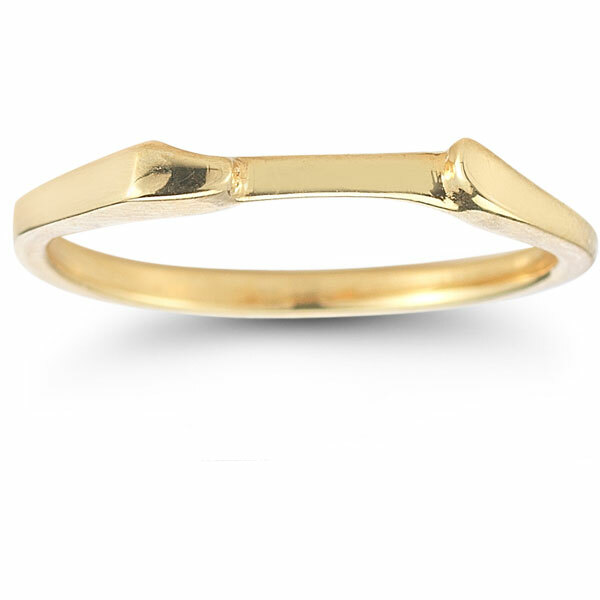 Yellow gold always brings an air of sophistication to any piece of jewelry, and this bridal ring set from Apples of Gold is no exception. 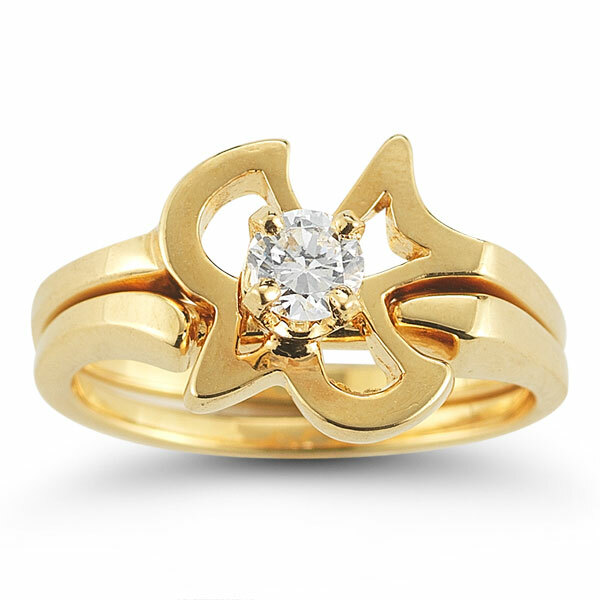 Crafted of premium 14K yellow gold, this set features a gorgeous Christian dove as its focal point. 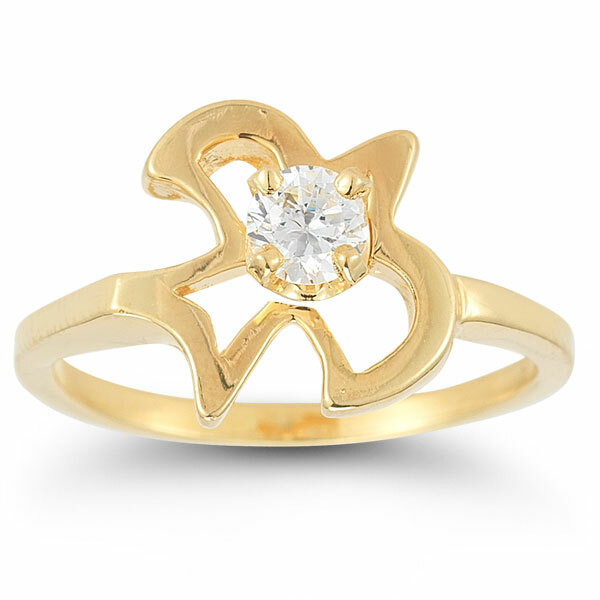 The dove's silhouette is an outline of beautiful gold, and it carefully holds the quarter carat diamond within. The bright white, round cut stone shimmers in the light while the two yellow gold bands provide stylish function and support for this bridal set. 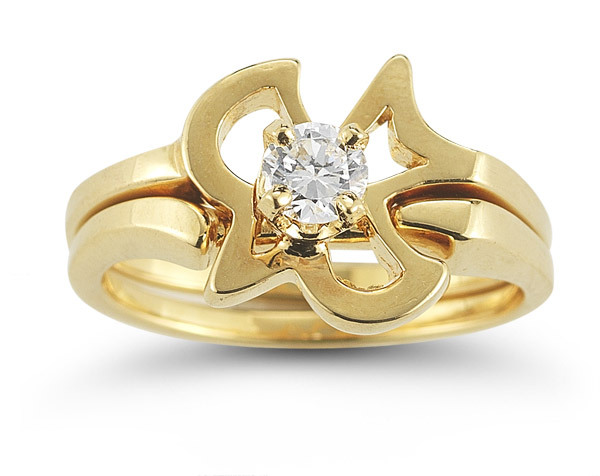 Apples of Gold Jewelry guarantees the Christian Dove Diamond Engagement and Wedding Ring Set in 14K Yellow Gold to be of high quality and an authentic engagement ring with real diamonds, as described above.